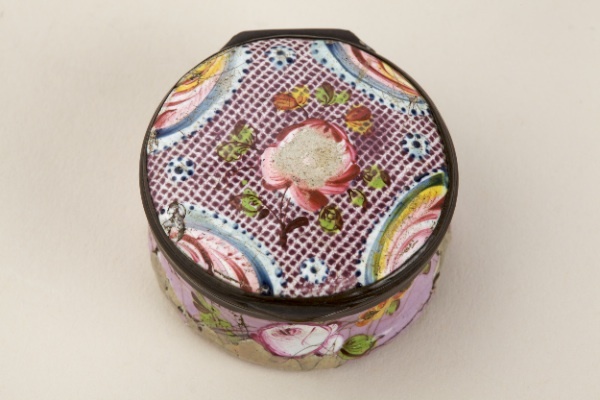 Summary: Round box, painted in enamel colours with a 'linen' pattern in mauve and repousse pink rose in the centre. Description: The linen pattern was obtained by enamelling in colour over coarse muslin which burnt away when fired leaving unpainted lines. 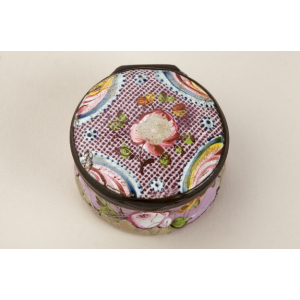 The sides are of mauve enamel with repousse flowers.